Asset-intensive organizations recognize that ensuring accurate, complete asset master data can have a direct impact on reducing environmental, health & safety risks, improving operational performance and maintaining regulatory compliance. This challenge is heightened when critical asset information is distributed among multiple systems of record. Maintaining synchronized accurate asset information between an organization’s Geographic Information Systems (GIS) and SAP Plant Maintenance (PM) environments can be a struggle shared by many different organizations. The Utopia uConnector for SAP GEF was developed to assist organizations in establishing synchronized asset information governance between their GIS and SAP PM environments. 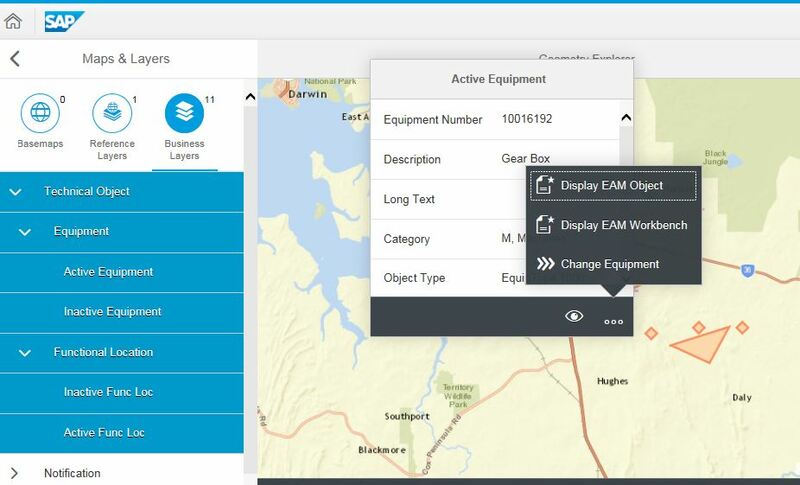 When deployed together with SAP Master Data Governance (MDG) for EAM, SAP Asset Information Workbench and SAP Geo-Enablement Framework, this Utopia solution provides pre-built forms, business rules and workflows to establish a trusted bridge between industry geospatial products and the SAP enterprise. The uConnector for SAP GEF - Basic Edition is available for use with Asset Information Workbench or with SAP MDG for EAM alone. The Basic Edition enables the operation of SAP Geo-Enablement Framework within a ‘side panel’ in concert with Asset Information Workbench or SAP MDG for EAM to facilitate a simple geo-based search and selection of assets. Users can then leverage this information to initiate asset master data change requests. The Basic Edition is designed to provide simple add/change/delete functionality for incremental asset master data edits and updates to insure continued GIS – SAP PM synchronization. The uConnector for SAP GEF - Advanced Edition is available for use with Asset Information Workbench. The Advanced Edition enables the operation of SAP Geo-Enablement Framework within a ‘side-panel’ in concert with Asset Information Workbench to facilitate sophisticated geo-based asset search, filter and select actions utilizing a preconfigured set of geospatial task tiles—this enables access to a complete set of GIS/LAM data. In mid-2018, the Advanced Edition will be capable of facilitating large scale editing and alignment of GIS and SAP PM data, engaging business rules, best practices libraries and multi-object change requests to support large scale master data synchronization. Clients can use the pre-built integrations to achieve real-time synchronization between their GIS and SAP Plant Maintenance asset systems of record. Linear related data residing in the GIS system can be extracted and populated directly into an MDG change request. Various systems of record can be kept in sync.